It’s been almost half a decade since underground favorite Capital STEEZ tragically passed away. Still, his legacy is lasting. STEEZ, who co-founded the popular Pro Era collective of his friends and like-minded MCs, has developed a cult following over the past few years comprised of fans who discovered him via YouTube, social media, playlists, and various other digital avenues. But before his passing, STEEZ revealed that he was working on a new LP called King Capital. While a few songs from the project have hit the net, the project was never completed. Until now. 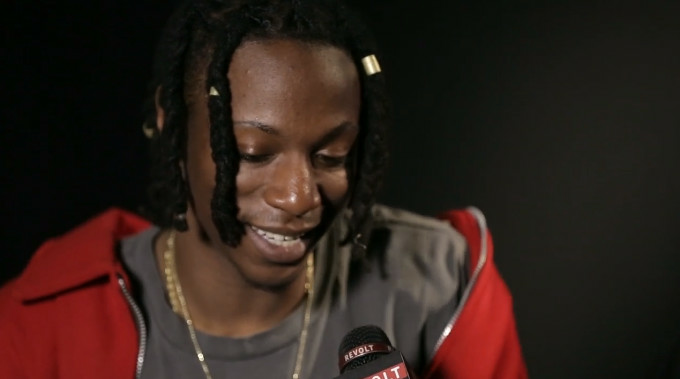 During a recent trip to the REVOLT TV, Pro Era member Joey Bada$$ divulged that not only is the crew currently working on a group LP, but they are also trying to complete STEEZ’s posthumous project. And while crafting King Capital is obviously a labor of love, Joey and company have faced several challenges in putting together Steez’s opus. Joey doesn’t have an abundance to work with, but he promises quality over quantity will reign.